A great, colourful and fun teaching aid for children of all ages. 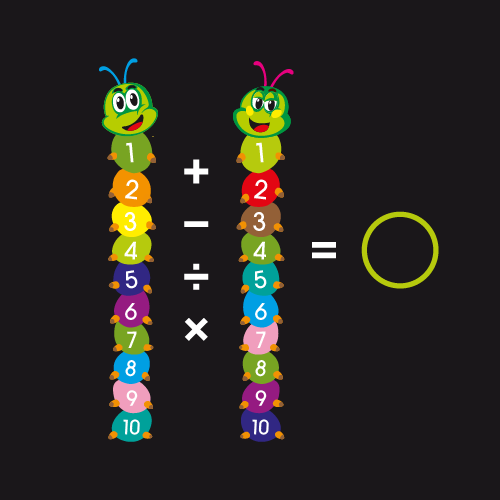 Calculating caterpillars helps children with adding, subtracting, multiplying and dividing whilst having fun. The children are given a sum by the teacher, then run from the first caterpillar to the next. When they have worked out the answer they jump into the box and shout out the correct answer.